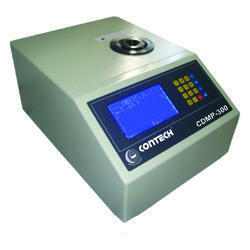 Contech Optical Instruments offers Polari Meter, digital Abbe Refractometer, Digital Melting Point Apparatus content of sample quickly & effectively. Keeping in mind ever-evolving requirements of our valuable clients, we are offering an exclusive range of Digital Polarimeter. Offered product is manufactured by using optimum grade component and the latest techniques by our skilled professionals. This product is used to measure the angle of rotation which is caused by passing polarized light. Also, this product is well tested by experts so as to deliver a defect free range from our side. Light source : Infrared LED. Modulator: Faraday magneto optical modular. 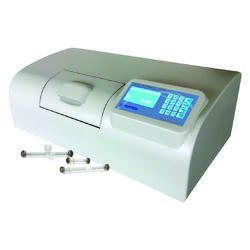 We are the leading manufacturers and exporter of Digital Abbe Refractometer and our product is made of good quality. This product is manufactured with ultra-modern manufacturing unit using quality approved material and progressive technology in adherence with defined quality standards. 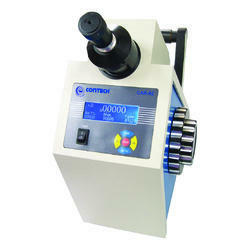 Our offered product is provided in several specifications according to the demand of customers. Our product is highly admired in the market for its excellent quality. We are the leading manufacturers and exporter of Digital Melting Point Apparatus and our product is made of good quality. The provided product is manufactured by using the best quality material and advance technology in sync with set norms of the industry. In addition to this, our product is appreciated among customers owing to its best usage & reliability. Our product is available in numerous specifications at competitive rates. Looking for Optical Instruments ?